Hi-- My question is: Can I copy home movie DVDs with my Creator DE10.3? Or must I upgrade to another Creator? Creator 10.3 is an OEM and therefore there are many different subversions - some from Dell, some come from buner software, some are industrial versions. If it looks like this, then Copy Disc should work. No high definition discs. Do not use cheap discs or you may not get what you want. Okay, I'm a non-geek. I had to look up OEM: Orig. Equip. Mgr. And Subervsion-- I won't print it out. I've seen the program: Creator NXT3 mentioned as having ability to copy DVDs. Meanwhile, I guess I don't know what you're talking about. I don't know what program your screenshot is. Mine looks like the screen shot I've included here. If that's a help. What do you think? Thanks for advice. 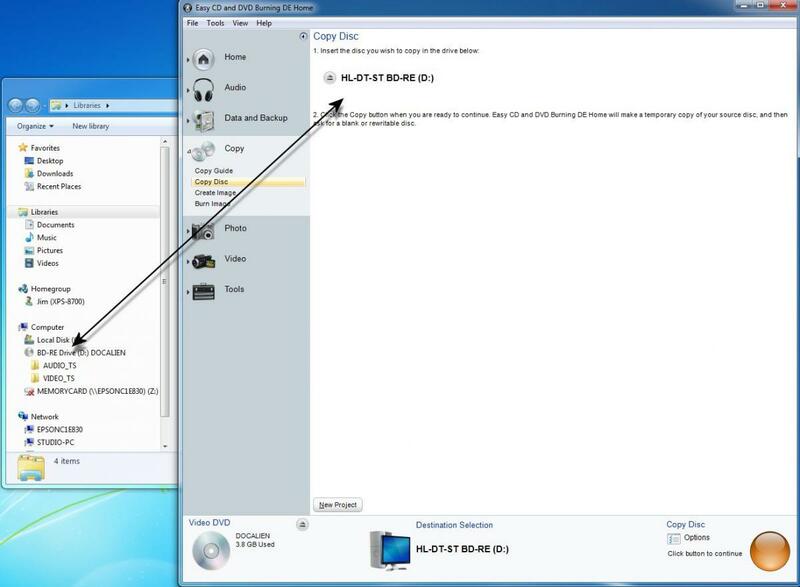 From the image you posted, it looks like you may not have a DVD burner on your computer. If you did, you would be able to copy ANY NON-COPY PROTECTED disc. Those are usually commercial discs. How did you make the video disc you want to copy? Subversion = sub version. As in, version 10, sub version 3, or, version 10.3, and sometimes more "decimal points" beyond that. First question, does your system have a DVD burner, or just a CD-RW drive? Obviously, you need a DVD writer to read and write DVD discs. Does your version of Creator let you write data to DVD-R discs? 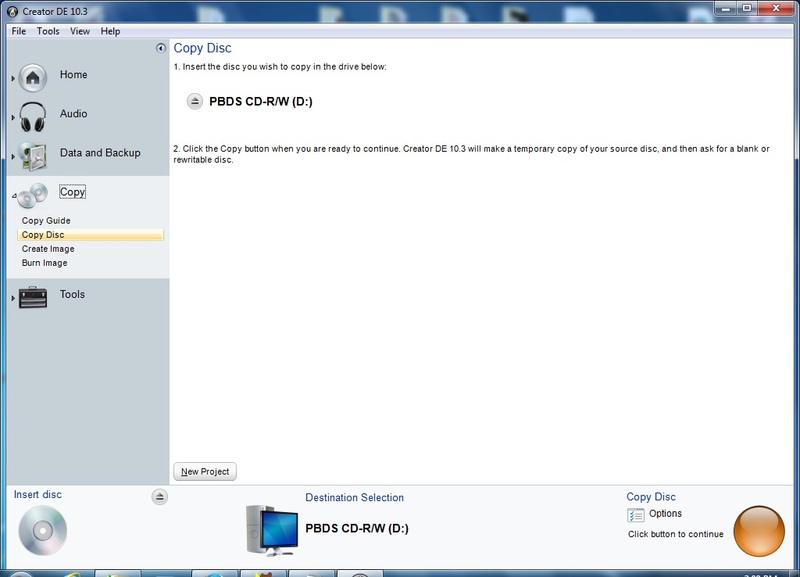 If you put a DVD disc into your drive, and click the "Copy" button, does it work? In your case, the easiest thing is simply to try it. If your system didn't come with a DVD burner, but only a CD-RW drive, then I wouldn't bet on your Creator DE 10.3 working with a DVD drive, but again, it only costs $25-$30 to get a new drive to try it out. VHS videos--will bring when she visits. I saw them last time she was here and they looked good, so I will copy each for myself. I guess the simplest solution is upgrading my Creator and take it from there, instead of paying someone to do it for me. Thanks again for your help. You need the hardware; not just the software. Post the dxdiag file as requested so we can determine if your computer will handle the software. Click on the blue text in the post number 4 above and it will point you to how to do it;. Umm... you don't know if what you have will do it yet or not. Why not wait and try it first. You may not need to upgrade. My primary concerns are copying VHS home movies to DVD discs (I have a lot of them: VHS), and also copying DVDs. Never done either. I have Creator De.10.3. I know I have to upgrade. I want to make sure I choose the right Creator upgrade. I'm in my 80s and want only what I need--cost is important. Thanks for help, folks. 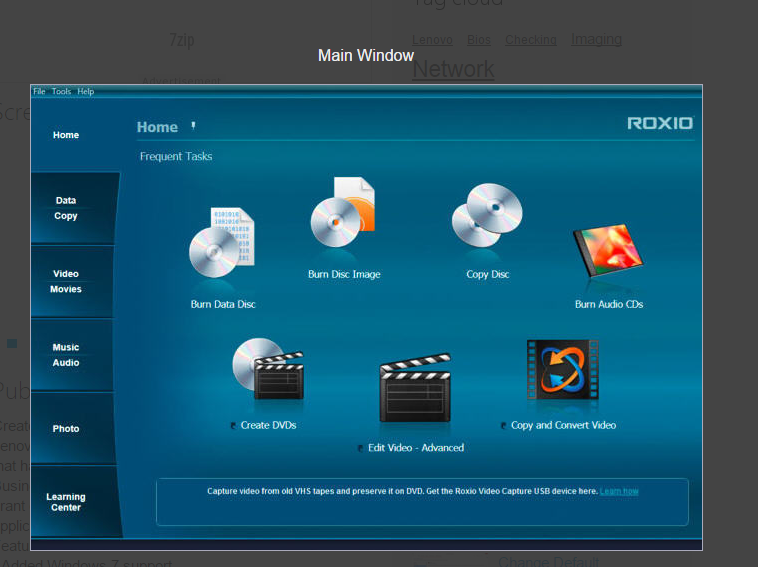 you do not need any Roxio program to make a copy of your home=made DVDs. 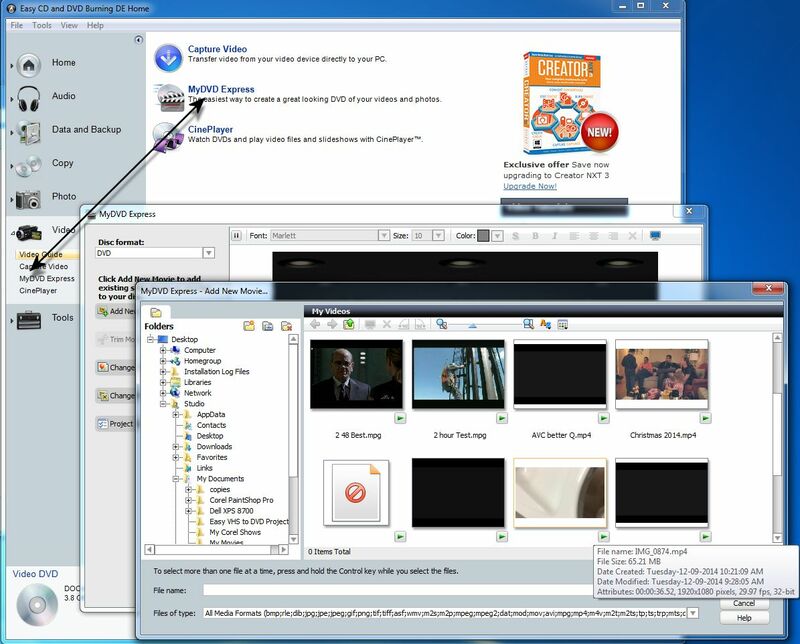 There are several free programs (such as Imgburn) that will copy home-made DVDs. Your current program cannot be used to capture video from a VHS tape. You need another program such as Creator NXT 3 or " VHs to DVD 3" plus a hardware device which does the capture. If all you want to do is capture the VHS video without doing any editing, etc then I recommend getting "VHS 2 DVD 3 Plus"' Here is the link to a description of the program. It is quite a bit cheaper then Creator NXT 3. This program though will not make copies of existing DVDs but will create DVDs of your captured VHS video. Yes 10.3 will copy any non-commercial DVD. But DVD's come in 2 basic flavors... There is a DVD Movie, which I show here, and there is a Data DVD. A Data DVD may contain movie files (like the ones you capture) but can only play them on a PC and a few Players that accept them. Yes 10.3 will do that using MyDVD Experss but it is limited! It only accepts Standard Definition (720X480) files. If you pick multiple files, you have to choose if they are to be combined (One Menu Button) or added as separate Menu Buttons. But you can pick several to combine then add separate ones as needed.